Renew your wood floors instead of refinishing or replacing them! 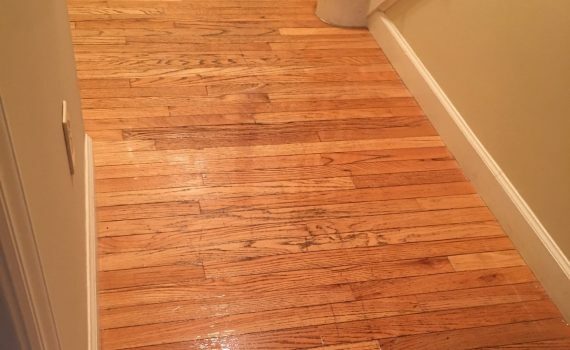 Hardwood cleaning products and solutions aren’t a long-term solution. Everyday wear and tear from kids, pets, customers of your business, and other spills or messes cause deterioration over time that dulls the appearance of your floors. Revive your wood floor with cost-effective professional cleaning rather than breaking the bank with sanding or replacing. Newly Restored offers ether a scrub and recoat or a full cleaning with light polish. In both cases, we typically use a floor scrubber to clean the floor with specially formulated cleaners designed for hardwood floors that remove the dirt and excess accumulation of wax buildup on the surface. We can then either buff the floor, or recoat with a secondary coat of polyurethane on top of it. Sweep floor to remove any surface debris. Optionally, we use a microfiber mop to remove dust and hair left behind by sweeping. Apply specially formulated wood cleaners. In the event a more aggressive cleaning is needed, intensive floor solutions will be used. Wipe up haze with damp microfiber mop. Once floor is dried, a polishing pad is used to re-buff floors to bring out shine. 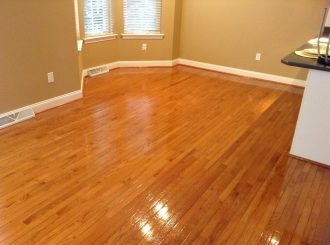 If desired, a urethane floor refinisher can be applied. Newly Restored offers a 100% satisfaction guarantee for all of our services. 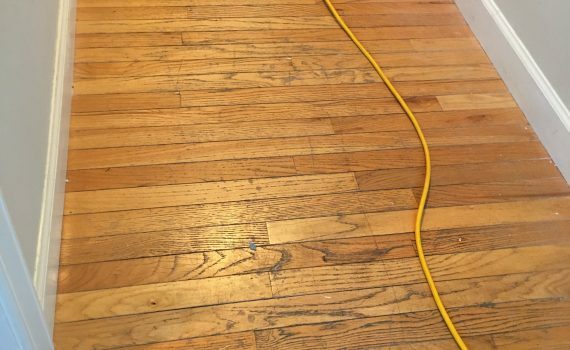 We can restore your hardwood to a like-new appearance and we use EPA and environmentally friendly solutions. Call us today for a free estimate!